You should spend some time reading through the following terms and conditions thoroughly. Use of this website will be taken to mean that you have agreed to the terms and conditions and any changes that are made to them in the future. It is in your own interest to have read the details below carefully. AustraliaWristbands.com maintains the right to change or update the Terms and Conditions at any time without notice. You are encouraged to review the Terms and Conditions specified below carefully as no other notification of any changes will be made, except on this website. Payment for goods can be made in a number of different ways. We accept payment by credit card , PayPal, Cheque and Bank Transfers as well as by email, phone and chat. Please make payment at the time of ordering your merchandise. Acceptable credit cards include American Express, Discover, MasterCard and Visa. Cheques or postal orders may be used by certain approved customers only, such as churches, schools and some businesses. Please ask if you are unsure. An invoice will be available when your order is finalised. AustraliaWristbands.com retains the right to refuse an order if necessary. There is an option to pay by Cheque option available. We always recommend to select digital proof as “YES" which is absolutely free so that you can check what you are ordering. Please note that the extra 100 free wristband offer only applies to one particular style and is only available to a customer who purchases 100 or more wristbands of anyone type. The message/text/logo must be same on all the bands to take advantage of this offer. Cancellations and changes to your order may be possible if the final production of your wristbands has not actually commenced. AustraliaWristbands.com, in any event, will do its best to carry out your request to cancel or change your order. Any cancellations or changes should be made within 6 hours of placing your order when you have not Digital proof as YES. If your order has not yet reached the initial production stage, then any alterations will be completely free. However, if the order is in the pre-production stage, but not yet in the final stages of production, a $7 cancellation or change fee does apply. Please contact our sales department if you need to cancel or change your order. RUSH orders cannot be cancelled or changed once the order has been finalised. Customers making an error in their own order, e.g. a typo, state the wrong colour etc. Orders Duplicated while placing the order must be informed before the order is in production. Please check your order receipt and inform as soon as possible to our sales department. Any defective products received should be notified within 7 to 15 days of delivery. Contact us at sales@australiawristbands.com or by telephone at 0800-047-0904 for details. Please submit your requests for artwork as soon as you have placed your order. You can do this by emailing all your artwork and logo instructions to sales@australiawristbands.com. The logo will be same as text colour by default. If you need original colours of logo please email us at sales@australiawristbands.com after placing the order or feel free to call us at 1300 95 64 27. We will examine your request to make sure it fulfils the conditions suitable for the product you have ordered. If we need to make any small modifications, then we will do this free of charge. If you make a repeat order for goods, it will not be possible to guarantee exactly the same colour wristband. Wrist bands will be laser engraved if your order is for less than 100 in a debossed style. Swirl bands may result in bleeding of colours depending upon the selection of colours . AustraliaWristbands.com will endeavour to make every effort to provide you with a product that matches the colour chosen form the website. 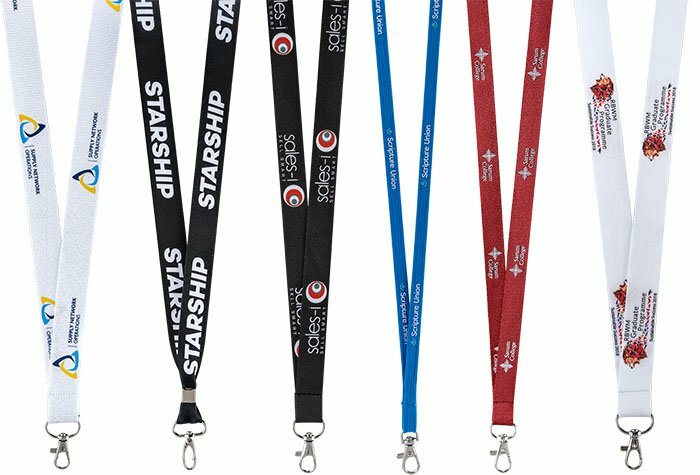 However, the colours shown both on the website images as well as the proofs sent to you by email can never represent the exact colours of the wristbands in every detail. It is an inherent problem in the electronic representation of images that there may be a slight difference between the image and the final product. The manufactured item will have colour “U" applied, rather than the pantone colour “C". If you have ordered swirl bands, the final colour depends on the way the colours chosen mix together. Every attempt to match a reorder to the original order will be made, but we cannot guarantee that your reordered goods will be an exact match. AustraliaWristbands.com will endeavour to get your goods produced as soon as possible after your order has been finalised and artwork instructions submitted. The actual production time may vary depending on the number of bands ordered and the design requested. Normally, this is between 1 to 7 days after the order has been received. If you need your bands urgently, please contact our sales department and we will do what we can to rush through your order. We have the right to start the production on any order where customer is not replying more then the specified deadline. The debossing and colour filling on 1/4th inch bands may not be deep and might not be that visible compared to half inch. Customer will be solely responsible for the selection of font and the after effects. High Quality printed bands :We take the guarantee of High Qulaity Printed bands for 6-8 months from the date of shipping. Tyvek band orders cannot be cancelled if the Digital proof option is NO. We guarantee that your merchandise will be dispatched on or before the shipping date given when your order was finalised, however we cannot guarantee the time taken by the carrier, as this is out of our control. We are also not responsible for any delays due to customs formalities if it is an international order. If you change a shipping address while the goods are already in transit, a $20 fee will be charged using the same payment method used for the original order. We will not be held responsible for packages being destroyed by the courier company due to non availability of customer. The company is not respsonsible for such claims or damages. AustraliaWristbands.com is not responsible for any customs fees applicable on delivery to an overseas address. This is entirely the responsibility of the customer such fees are not included in the shipping costs. Any request to mark the goods as gifts or at a lower value than the correct one will be refused. If any error is made in an advertised price or minimum quantity required, then AustraliaWristbands.com maintains the right to cancel or refuse any order made in such conditions. We will, however, make every effort to modify your order so it is affordable and within your budget. You can pay by the following credit cards: American Express, Discover, MasterCard and Visa Credit/Debit card, PayPal as well as Cheque. The content of this website is protected by copyright and can only be used for non-commercial uses. This protection applies to all graphics, illustrations and images, logos, page headers and text within the website. The AustraliaWristbands.com logo is a registered trademark held by the company. The entire content of the website is registered under Australia copyright laws and the company owns the right to arrange, change, enhance and select any or all of the content. Portions of the website may be downloaded or copied for non commercial personal use only. Users of this website are permitted to use portions of the website for their own personal use as long as they do not alter or remove any logos, copyright or trademark notices and do not post any portion of the website on another computer network of any type or broadcast any portion of the website on the media.